This black coloured purse bag with sling is appropriate for outrageous party girls. 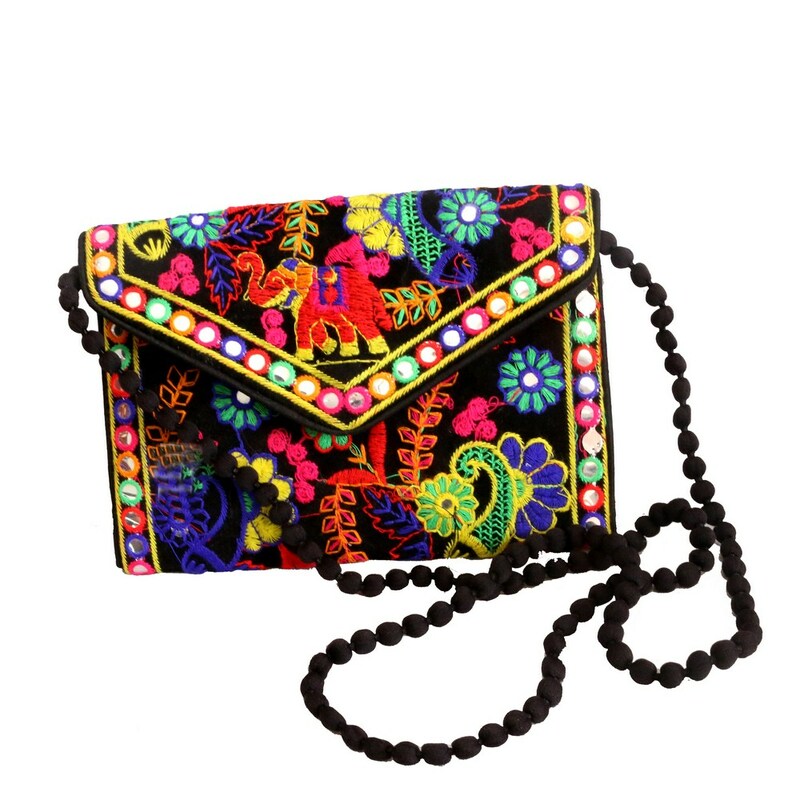 This bag has been customized with detailed and colourful embroidery designs making Read More..this product look ethnic at the same time quite trendy. It could be a great pick for presenting to the ladies on special occasions. Show Less..